PLEASE READ THIS INFORMATION CAREFULLY BEFORE INTERACTING WITH OR USING OUR INTERNET SITE. 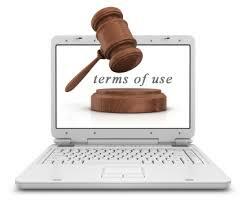 BY INTERACTING WITH OR USING OUR WEBSITE, YOU AGREE TO BE BOUND BY THE CONDITIONS AND TERMS THAT ARE SET FORTH BELOW. IF YOU DO NOT WISH TO BE LIMITED BY THESE CONDITIONS AND TERMS, YOU MAY NOT ACCESS OR USE OUR WEBSITE. IF YOU DO NOT UNDERSTAND THESE TERMS AND CONDITIONS, DO NOT UTILIZE OUR WEBSITE. WE CAN MODIFY THIS AGREEMENT ANYTIME WITHOUT INDIVIDUAL, SPECIFIC NOTICE TO YOU, AND SUCH ALTERATIONS SHALL BE EFFECTIVE IMMEDIATELY UPON THE PUBLICATION OF THE MODIFIED AGREEMENT ON OUR WEBSITE. YOU AGREE TO REVIEW THE AGREEMENT PERIODICALLY TO BE AWARE OF SUCH MODIFICATIONS AS WELL AS YOUR ONGOING ACCESS OR USE OF OUR WEBSITE and conditions established below (all parts and parties collectively referred to as our web-site). You agree to obey all applicable regulations regarding your usage of our morethanroofing.com website and this content and components provided in it. Our web-site is a private, self-standing entity which has no relationship, connection, or affiliation at all with any business, person, outfit, corporation, or group mentioned herein, even if such name appears inside our web-site, domain, URL, or otherwise. You should believe no other party, by mere mention of their name, provides endorsed anything you see here. The goal is simply to supply useful resources for our readers, some of which we may be compensated for. You should merely assume at all times we are becoming compensated and, while that may not prompt us to make unsound recommendations, you should always be accountable for your own economic decisions, be it investing, purchasing, donating, or otherwise. The following information describes the Copyright Notice for our web-site. The complete contents of our web-site are guarded by intellectual property laws, including international copyright and trademark laws. The entity who owns the copyrights and/or trademarks are our website, and/or other 3rd party license holders or related business entities. You don’t own rights to any article, book, e-book, record, blog post, software, application, add-on, plugin, art, graphics, images, photos, video, webinar, recording or other materials viewed or listened to through or from our morethanroofing.com web-site or by way of e-Mail or by way of protected content in a membership site. The posting of data on our website, such as a blog comment, will not change this truth and does not give you any right to copy the data. You give up any rights to your content once it becomes a part of our website. YOU MAY NOT MODIFY, COPY, REPRODUCE, REPUBLISH, UPLOAD, POST, TRANSMIT, OR DISTRIBUTE IN ANY WAY POSSIBLE , THE CONTENT ON OUR WEBSITE, WHICH INCLUDES TEXT, ARTWORK, CODE AND/OR SOFTWARE. You must retain all copyright and various other proprietary notices within the original content material on any copy you make of this content. You may not sell off or alter the content or reproduce, display, publicly perform, distribute, or otherwise use the content at all for any and all public or commercial purpose. The use of paid information garned from this site on any other web-site or in a networked computerized setting for any all purposes is prohibited. If you violate any of the terms or conditions, your permission to use the content immediately ends and you need to promptly eradicate any copies you have made of this content. You are issued a non-exclusive, non transferable, revocable license to utilize our website which will be limited to private, personal, non commercial reasons. You may print and download portions of material from the different parts of the website only for your own non-business oriented use, provided that you agree never to change the content from its original form. Moreover, you agree never to change or delete any copyright or proprietary notices from the pages you decide to print or download. Also note that any disclosure on any portion of our web-site that forbids printing & downloading immediately cancels all prior statements and instructions. As a visitor, you must consent to use the products and services offered by our website in a manner consistent with all applicable local, state and federal laws and regulations. No information will be kept or broadcast which infringes or violates the rights of other parties, which can be unlawful, obscene, profane, indecent or found otherwise objectionable, threatening, defamatory, or invasive of personal privacy or publicity rights. Our morethanroofing.com web-site forbids behavior that could be considered an illegal act, create civil liability or otherwise violate any regulation. Any and all activity that restricts or inhibits any other visitor from using the services provided within our web-site is likewise forbidden. Unless provided for by a written agreement, no one can post or broadcast advertising or commercial solicitation on our website. You agree to grant to our organizations web-site a nonexclusive, royalty-free, worldwide, irrevocable, perpetual license, with the proper to sub-license, to replicate, distribute, transmit, create derivative works of, publicly screen and publicly perform any materials and other communication (including, without limitation, ideas contained therein for different or improved products and services) you submit to any public areas of our website (such as for example bulletin boards, forums, blog, and newsgroups) or by e-Mail to our website by all means and in virtually any media now known or hereafter developed. Additionally you give to our organizations website the rights to use your name in connection with the submitted materials and as well as other information and also in connection with all advertising, marketing and promotional material related thereto. You also agree that you also shall not have any recourse against our website for any any and alleged or actual violation or misappropriation of any proprietary right in your contact with web-site. Publications, products, published information or service solutions that are referenced in this document or on our web-site are the soley owned trademarks or service marks of our morethanroofing.com web-site or parties related to us. Additional product and company names and/or brands that are mentioned within our website may be the trademarks of their respective owners. You can provide hyperlinks to our own website, as long as you don’t alter, remove, or obscure the copyright notification or other notices on our web-site. Your web-site or other sources of hyperlinks must never engage in illegal or pornographic behavior. Finally, you may link provided that you understand that you need to stop linking to our business website immediately upon demand by our web-site. 2. Usage of Our Website. You agree, acknowledge, and accept that we are not trained professionals , nor purport to render professional or expert advice unintentionally obtain personal information about other users, you will not share this with anyone else. Admission to certain areas of our organizations morethanroofing.com web-site is restricted. We reserve the rights to control usage of various areas of our website, or indeed our entire website, at our discretion. If we provide you with a user ID (username) and password to enable you to access restricted areas of our web-site or other materials or services, you need to ensure that your user ID and password is kept confidential. You can not reveal your end user ID and/or password with anyone for any kind of reason, either directly or indirectly. You accept responsibility for all activities that occur under your end user ID or password. We may disable your end user ID and password at our businesses own discretion or if you breach the policies or terms governing your usage of our morethanroofing.com web-site or any other contractual obligation you delivered to us. You must understand that, except for information, products or services clearly identified as being supplied by our website, our website will not operate, control or endorse any information, products or services on the Internet at all. Except for information recognized by our website as such, all materials, services and products provided through our website or on the Internet generally are provided by 3rd parties that aren’t affiliated with our website, and we might be compensated. You must understand that our morethanroofing.com internet site cannot and will not promise or warrant that files available for downloading through our website will be free from infection or infections, worms, Trojan horses or other code that manifest damaging or destructive properties. You are accountable for utilizing sufficient techniques and checkpoints to satisfy your unique requirements for accuracy of information input and results, and for preserving a means that is external to our website for the reconstruction of any lost data. YOU MUST ASSUME SOLE RESPONSIBILITY AND RISK FOR YOU USAGE OF OUR WEBSITE AND THE WEB. OUR WEBSITE PROVIDES OUR WEBSITE AND RELATED DATA “AS IS” AND WILL NOT MAKE ANY EXPRESS OR IMPLIED WARRANTIES, REPRESENTATIONS OR ENDORSEMENTS OF ANY KIND (INCLUDING WITHOUT LIMITATION WARRANTIES OF TITLE OR NONINFRINGEMENT, OR THE IMPLIED WARRANTIES OF MERCHANTABILITY OR FITNESS FOR A PARTICULAR PURPOSE) WITH REGARD TO THE PRODUCT OR SERVICE, ANY MERCHANDISE INFORMATION OR SERVICES PROVIDED THROUGH THE SERVICE OR ON THE WEB GENERALLY, AND OUR WEBSITE SHALL NOT BE LIABLE FOR ANY COST OR HARM ARISING EITHER DIRECTLY OR INDIRECTLY FROM ANY SUCH TRANSACTION. IT IS SOLELY YOUR RESPONSIBILITY TO EVALUATE THE ACCURACY AND RELIABILITY, COMPLETENESS AND USEFULNESS OF ALL OPINIONS, ADVICE, SERVICES, PRODUCTS AND OTHER DIRECTION PROVIDED THROUGH THE SERVICE OR ON THE INTERNET GENERALLY. OUR WEBSITE WILL NOT WARRANT THAT THE SERVICE WILL BE UNINTERRUPTED OR ERROR FREE OR THAT DEFECTS IN THE SERVICE WILL BE CORRECTED IN AT A TIMELY MANNER. YOU REALIZE FURTHER THAT THE PURE Character OF THE WEB CONTAINS UNEDITED MATERIALS A FEW OF WHICH ARE SEXUALLY EXPLICIT OR COULD BE OFFENSIVE TO YOU. YOUR USAGE OF SUCH MATERIALS REACHES YOUR RISK. OUR Internet site HAS NO CONTROL More than AND ACCEPTS NO RESPONSIBILITY WHATSOEVER FOR SUCH MATERIALS YOU MAY SOMEHOW ACCESS. The content might contain inaccurate information or typographical errors. Our morethanroofing.com web-site zero claims about the accuracy, dependability, completeness, or timeliness of this content or about the outcomes to be obtained from using our web-site or any content on it. Use of our web-siteand the content is at your own risk. Adjustments are periodically made to our website, and could be made anytime. OUR WEBSITE DOES NOT GUARANTEE OUR WEB-SITE WILL OPERATE ERROR-FREE OR OUR WEB-SITE AND ITS SERVER ARE FREE FROM COMPUTER INFECTIONS AND OTHER HARMFUL EXPLOITS OR PROBLEMS. IF YOUR USE OF OUR WEBSITE OR THIS CONTENT RESULTS IN THE NEED FOR SERVICING OR REPLACING EQUIPMENT OR DATA, OUR WEBSITE IS NOT GO TO PAY FOR THOSE EXPENSES. IN NO EVENT WILL OUR WEB-SITE, ITS SUPPLIERS, OR ANY 3RD PARTIES MENTIONED AT OUR WEB-SITE BE LIABLE FOR ANY AND ALL INCIDENTAL, CONSEQUENTIAL, INDIRECT OR OTHER DAMAGES (INCLUDING, BUT NOT LIMITED TO, DAMAGES FOR DECLINING INCOME, BUSINESS INTERRUPTION, LOSS OF PROGRAMS OR INFORMATION, AND SO ON ARISING OUT FROM THE USAGE OF OR INABILITY TO UTILIZE THE OUR INTERNET RELEATED SERVIDECS, OR ANY INFORMATION, OR TRANSACTIONS PROVIDED ON THE SERVICE, OR DOWNLOADED FROM THE SERVICE, OR ANY DELAY OF SUCH INFORMATION OR SERVICE. EVEN IF OUR WEB-SITE OR ITS AUTHORIZED REPRESENTATIVES HAVE ALREADY BEEN ADVISED OF THE POSSIBILITY OF SUCH DAMAGES, OR (II) ANY CLAIM ATTRIBUTABLE TO ERRORS, OMISSIONS, OR OTHER INACCURACIES IN THE SERVICE AND/OR MATERIALS OR DATA DOWNLOADED THROUGH THE SERVICE. BECAUSE SOME STATES DO NOT ALLOW THE EXEMPTION OR RESTRICTION OF LIABILITY FOR CONSEQUENTIAL OR INCIDENTAL DAMAGES, THE ABOVE LIMITATION MAY NOT APPLY TO YOU. IN SUCH STATES, LIABILITY IS LIMITED TO THE GREATEST EXTENT PERMITTED BY LAW, RESULTING IN THE SMALLEST DOLLAR AMOUNT PERMITTED FOR THE OVER-ALL LIABILITY FOR BOTH OUR WEBSITE AND AFFILIATED OUTSIDE PARTIES FOR A CLAIM THAT IS DERIVED FROM OR RELATED TO OUR WEB-SITE. THAT IS IN PLACE OF EVERY OTHER REMEDIES OTHERWISE AVAILABLE. Our web-sitesite contains links to alternative party Websites. O ur morethanroofing.com web-site makes no representations whatsoever about any other website which you may access through this one or which may link to this site. When you gain access to a internet site from our internet site, please understand that it really is independent from our internet site, and that our website does not have any control over this content on that web-site. These links are provided to you solely as a useful sevice for you and not as an endorsement by our website of the contents on such third-party Websites. Our website isn’t responsible for this content of linked third-party Websites and will not make any representations about the content or accuracy of materials on such third party Websites. If you decide to access linked third-party Websites, you do so at your own risk. We do not always endorse, recommend, suggest or elsewhere make any overture or prompt to use it regarding any service or product offered. You should believe we are compensated for any purchases you make. Again, any income claims ought to be construed as atypical results and you must assume the possibility that inferior outcomes are possible, including losses, that we carry no responsibility or liability. As an end user of our morethanroofing.com internet site, you are accountable for your own communications and are responsible for the consequences of your publishing comments. You mustn’t do the following things: post material that’s copyrighted, unless you are the copyright owner or possess the permission of the copyright owner to post it; post material that reveals trade secrets, if you don’t own them or possess the permission of the owner; post material that infringes on any additional intellectual property rights of others or on the privacy or publicity rights of others; post material that’s obscene, profane, defamatory, threatening, harassing, abusive, hateful, or embarrassing to another visitor to our web-site or any other person or entity; post a sexually-explicit image; post advertisements or solicitations of business; post chain letters or pyramid schemes; or impersonate someone else. Our website will not claim to or warranty the truthfulness, precision, or reliability of any communications posted by various other users of our site or endorse any opinions expressed by users of our website. You acknowledge that any reliance on material posted by other users of our site will become at your own risk. Our morethanroofing.com internet site does not necessarily review communications in advance and is not accountable for screening or monitoring material posted by users of website. If noticed by our website and/or notified by a consumer of communications which allegedly do not comply with this agreement, our site may investigate the allegation and determine in good faith and its single discretion whether to eliminate or request the removal of the communication. Our website has no liability or responsibility to users of our internet site for performance or nonperformance of such actions. Our site reserves the right to expel users of our site and stop their further usage of our website for violating this agreement or any laws or regulation, and in addition reserves the correct to remove sales and marketing communications which are abusive, illegal, or troublesome. Public media has presented a system for internet users to disclose much personal information regarding themselves, in a way that seems innocuous, if not proper for all occasions. However, lots of folks have without a doubt lived to regret personal information that was distributed either by themselves or by others. This has long been true of simple e-Mail. It becomes exponentially the case of social media web-sites and applications for social media on any additional website, including our own. You are now being cautioned against thoughtlessly disclosing information. You consent to indemnify, defend and also hold harmless our morethanroofing.com internet site, its members, officers, directors, employees, agents, license holders, suppliers and any third party information providers to our website from and against all losses, unforeseen expenses, damages and costs, including reasonable lawyer fees, caused by any use of our site or violation of this Disclosure Agreement (including negligent or wrongful conduct by you or any additional persons accessing our web-site. The provisions of paragraphs 2. (Usage of the Service and 3 (Indemnification) are for the sole benefit of our website and its own owners, officers, directors, employees, agents, licensors, suppliers, and any 3rd party information providers to the Service. Each of these people or entities shall possess the right to act upon and enforce those conventions directly against you on its/their own behalf. We reserve the rights to research complaints or reported violations of the Terms of Service and Conditions of Use and to take any action we deem appropriate, including however, not limited by reporting any alleged unlawful activity to legal authorities , regulators, or various other third parties as well as disclosing any data necessary or appropriate to such individuals or entities associated with your profile, e-Mail addresses, usage history, IP addresses and visitors data. This Agreement, in whole or in part, can be ended by morethanroofing.com with no warning at any time for any reason. The provisions of paragraphs 1 (Copyright, Licenses and Idea Submissions), 2 (Use of the Service), 3 (Indemnification), 4 (ALTERNATIVE PARTY Rights), 6 (Hiring an Attorney / No Attorney-Client Relationship), and 7 (Miscellaneous) shall survive any termination of this Agreement, in whole or in part. 6.Hiring a Financial Adviser, Attorney, or Medical or Other Professionals / No Attorney-Client or Fiduciary Capacity. Choosing an attorney, doctor, or investment adviser is a significant matter and should NOT be based solely on data contained on our web-site or in advertisements. The law is constantly changing and the data might not be complete or accurate depending on your particular legal issue. Each legal issue depends upon its individual specifics and different jurisdictions have different laws and regulations. This is why you should seriously consider hiring certified, professional counsel in your jurisdiction. Medical issues are complicated, and may often stem from both organic and psychological factors. Never should a web-site be used as a source of diagnosing or dealing with medical problems. Economic matters are highly individualistic. Risk tolerance only one factor to consider before making any investments or economic decisions. For these, and other, reasons, you should look to the assistance of a trained professional, not a web-site. You can send us e-Mail, but in no occasion will this communication in any way be construed as initiating an attorney-client relationship, or other professional relationship, so the contact should not include confidential or sensitive information because your communication will not be treated as privileged or confidential. This Agreement will be treated as though executed, set in force, and performed in the State our business is locatedin. Accordingly, it will be governed and construed relative to the laws and regulations of State of our business is domiciled in terms when it comes to those applicable to agreements, without respect to conflict of legal principles. Any reason behind action by you regarding our morethanroofing.com web-site must be instituted within one (1) year after when the cause of legal arose or be forever waived and barred. All activities shall be at the mercy of the limitations established in these Terms of Service and Conditions usage. Any legal claim arising out of or relating to these Terms of Service and Conditions of Use or our internet site, excluding intellectual property right infringement and additional claims by us, shall be settled confidentially through mandatory binding arbitration per the American Arbitration Association commercial arbitration rules. The arbitration shall be carried out in MISSISSIPPI. Each party shall bear one half of the arbitration costs and costs incurred, and each party shall bear its attorney fees. All claims will be arbitrated on an individual basis, and will not be consolidated in any arbitration with any claim or arguments of any other party. Neither the history of conduct between the parties nor industry trade practice shall act to change any provision of this Agreement. Our web-site may assign its rights and responsibilities under this Disclosure to any party anytime without notice to you. The language that is utilized in these Terms of Service and Conditions of Use shall be interpreted with regards to its fair meaning and not strictly for or against any party. Any guideline of construction to the effect that ambiguities are to be resolved against the drafting party (i.e. – “contra preferentum”) shall will not apply in interpreting these Terms of Service and Conditions of Use, as the Agreement will be construed as having been co-authored by the parties that are effected. Should any part of the Terms of Service and Conditions of Usage be held invalid or unenforceable, that portion shall be construed as much as possible consistent with applicable laws and severability shall apply to the remaining portions, so that they remain in full force and effect. To the extent that anything in or associated with our website is incompatible or inconsistent with these Terms of Service and Conditions of Use, these Terms of Service and Conditions of Use shall take precedence. Our failure to enforce any provision of these Terms of Service and Conditions of Use shall not be deemed a waiver of the provision nor of the rights to enforce the provision. Our rights under these Terms of Service and Conditions of Use will survive any termination of this agreement. Any rights not expressly granted herein are earmarked on behalf of morethanroofing.com. CHANGE NOTICE: As with any one of our administrative and legal notice pages, the content of this page can and certainly will change over time. With that in mind, these pages could read differently by your next visit. These changes are caused by, and carried out by morethanroofing.com, in order to protect you and our morethanroofing.com website. In the event that this is very important to you, you should check back frequently as no other notice of change of content shall offered either before or after any change or changes takes effect. COPYRIGHT WARNING: The legal notifications and administrative pages on this site, including this one, have been diligently drafted by a lawyer. We at morethanroofing.com have money to license the utilization of these legal notices as well as any administrative pages on morethanroofing.com for your protection and ours. This information must not be utilized in any way for any reason and unauthorized usage is policed by way of Copyscape to locate violators. DO YOU HAVE ANY QUESTIONS, COMMENTS OR CONCERNS? : If you have any questions or concerns about the contents of this page, or if you simply desire to contact us for any other reason, you may do that by using our Contact information.